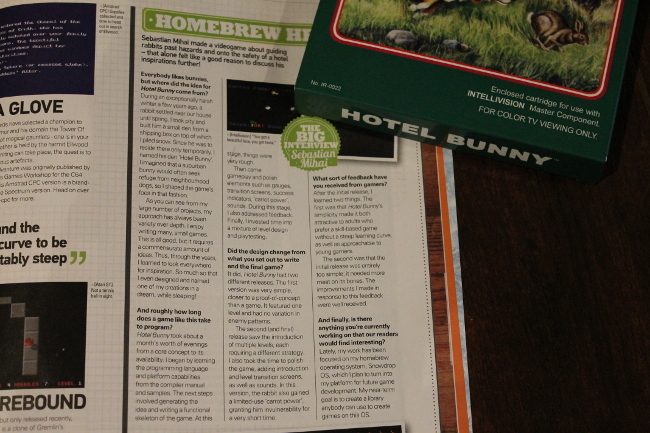 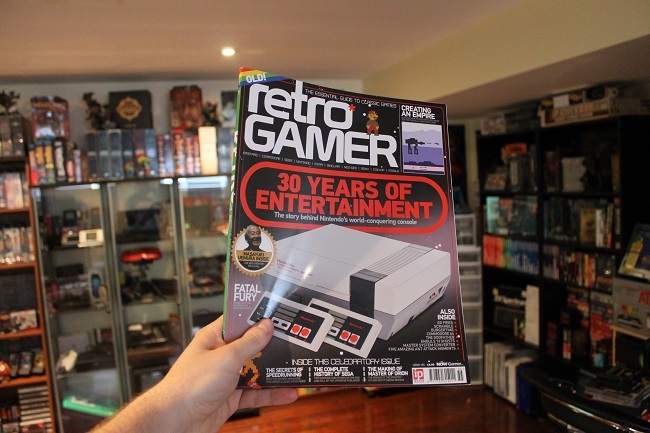 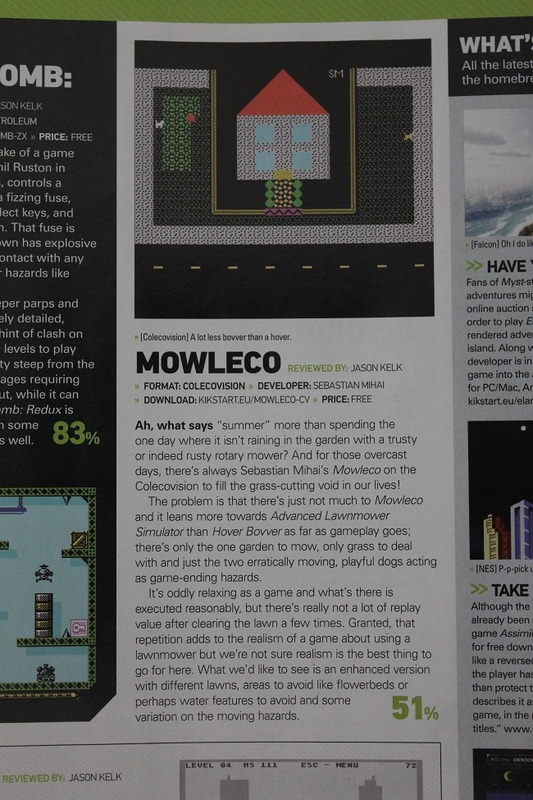 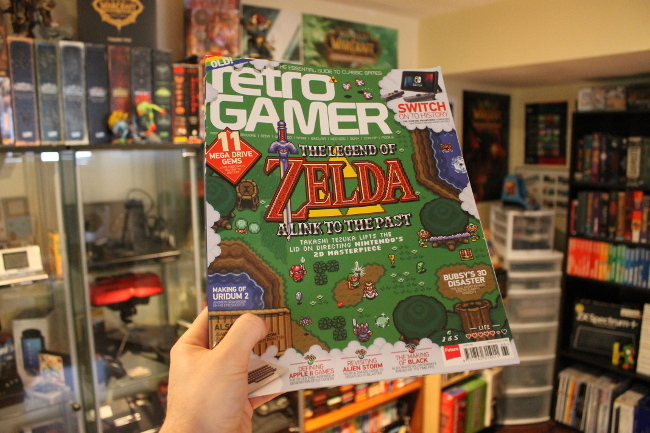 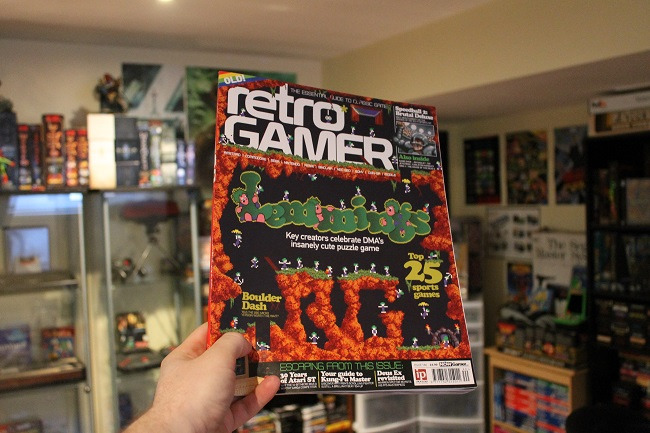 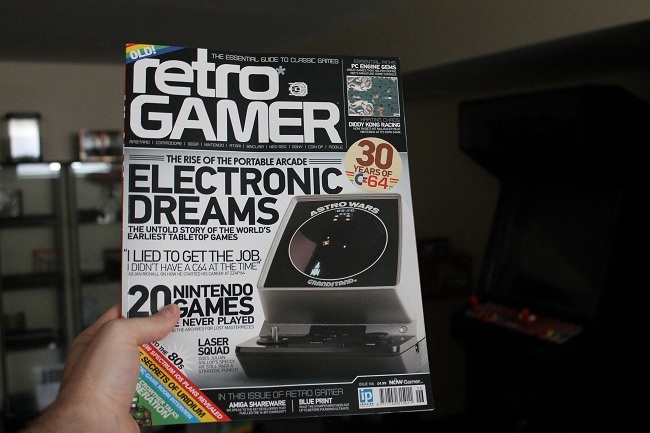 Over a few years, the awesome people at Retro Gamer have covered a few of my games in their great magazine! 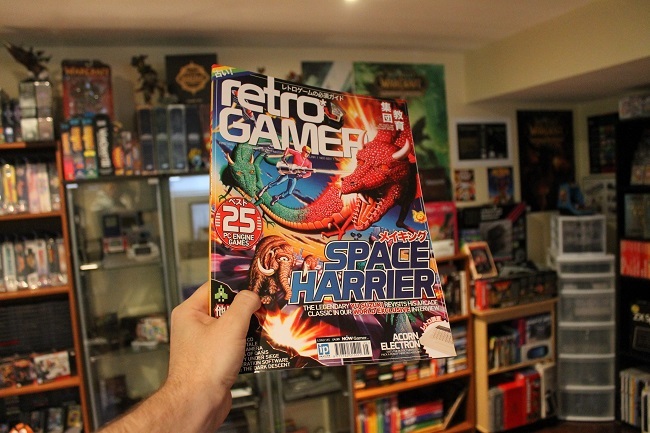 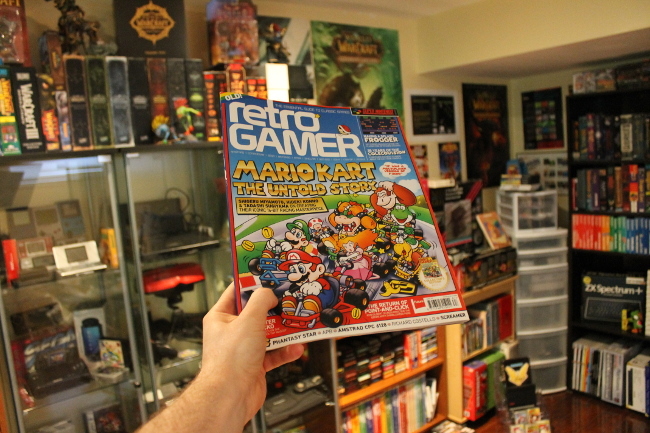 The Retro Gamer staff regularly features articles, interviews, reviews on their main page here. 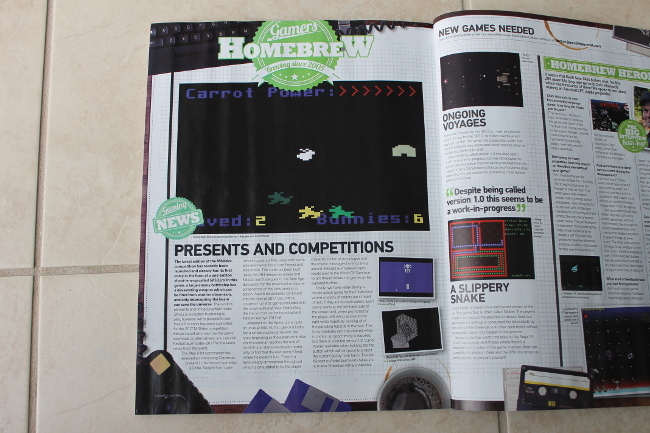 My recently released game for the Mattel Intellivision piqued the interest of the great people at the Retro Gamer magazine in Britain. 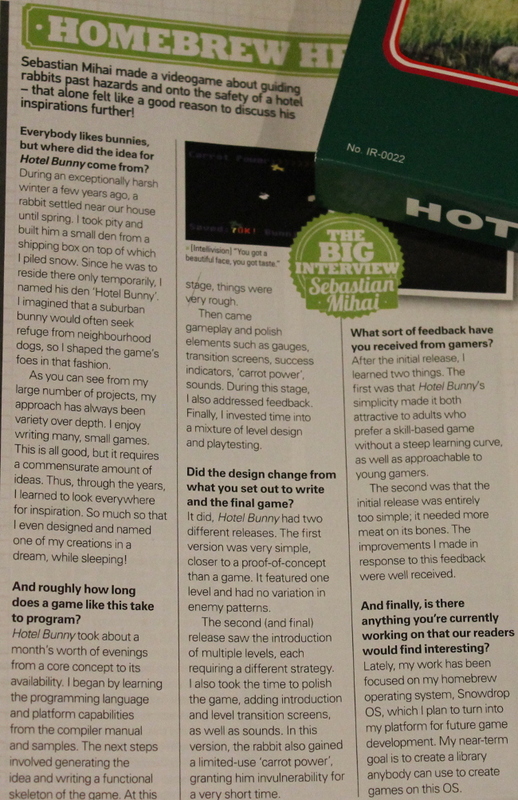 They asked me for an interview, to get more info on Hotel Bunny, and the unusual idea behind the game. 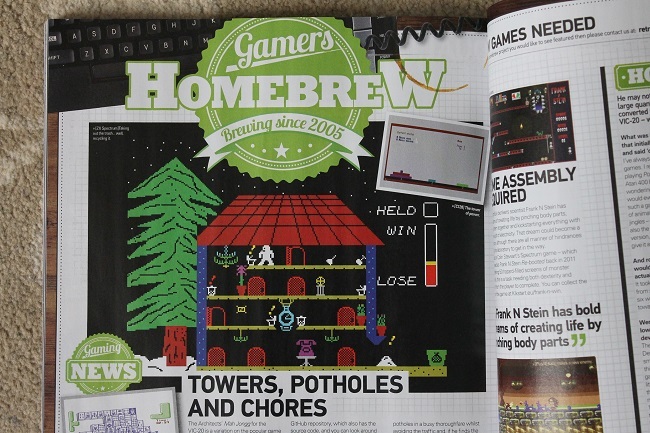 Husband Chores is a ZX Spectrum game in which the protagonist husband must keep his house clean by taking out the trash, cleaning toilets, etc. 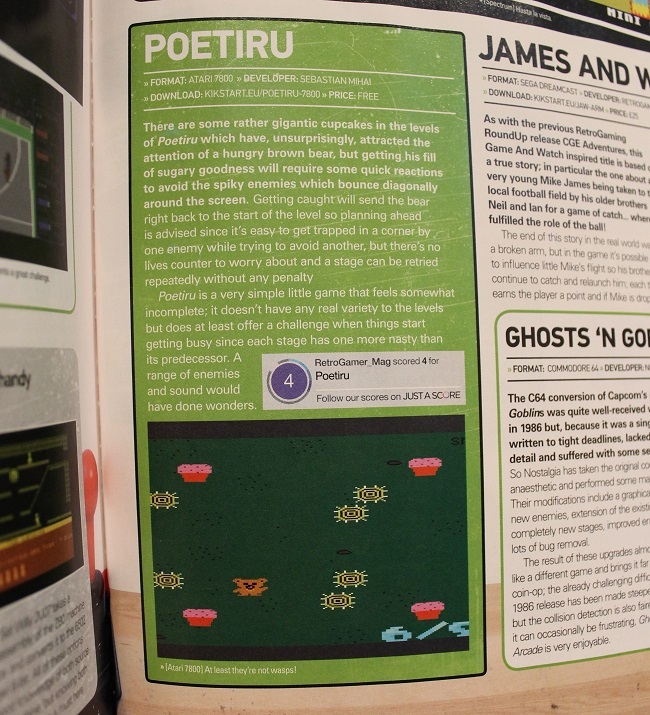 Poetiru is a very simple game in which a brown bear must eat four cupcakes on every level. 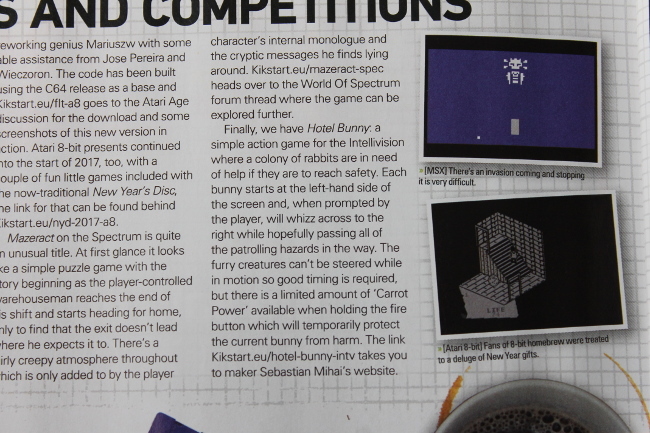 The levels get progressively harder with more and more enemies chasing our protagonist bear. 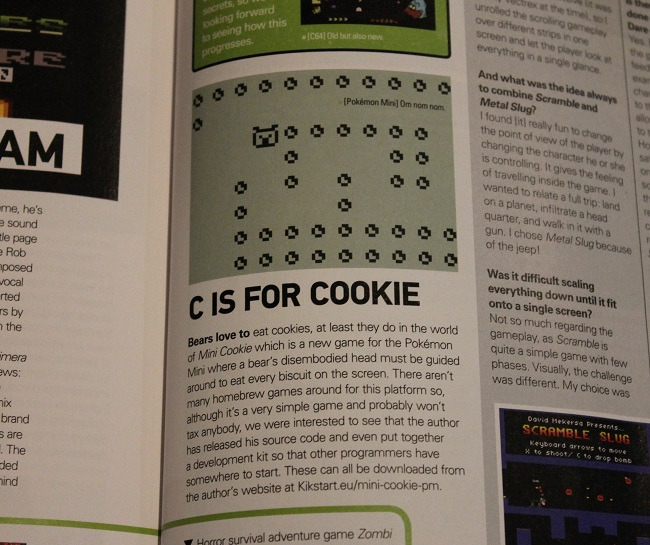 Mini Cookie is a tech demo for the Pokemon Mini handheld console. 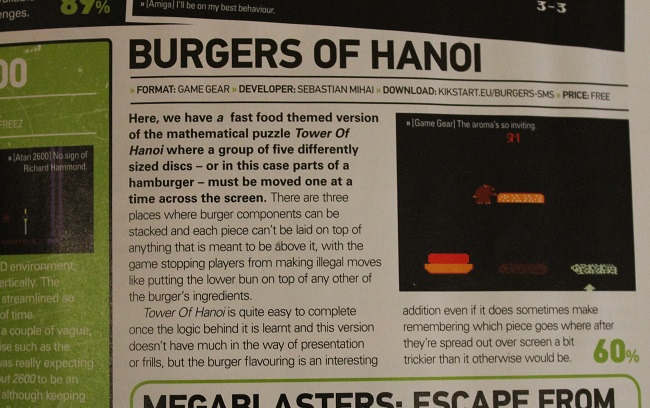 Burgers of Hanoi is a Sega Game Gear port of my original game of the same name for the Sega Master System.